Visual art, vocal performances and instrumental music will stir the senses in April 2016, from 4 to 8:30 p.m., at the Youth Arts Festival and opening of the Dearborn Public Schools City Wide Art Show. Hundreds of talented Dearborn students from kindergarten through high school (K-12) will perform, display and demonstrate their arts during exhibits and a collage concert at the event. The public is invited to attend this free program, a cooperative project by the Dearborn Community Fund (DCF) and the Dearborn Public Schools, at the Ford Community & Performing Arts Center, 15801 Michigan Ave., in Dearborn. 4-5:30 p.m. – Visual Arts / Opening Reception for Dearborn Public Schools City Wide Art Show – featuring artwork from students in kindergarten through high school. 5:30 p.m. – Senior Talks – High school seniors share insights about their artwork. 6:30-7:30 p.m. – Musical Interlude – The Dearborn Youth Symphony ensembles will perform in the theater lobby. 7:30-8:30 p.m. – Collage Musical Performance – Instrumental, choral and theater selections by Elementary through High School students and special guests Kira Frabotta, Paul Bruce and “Blue Fusion” from Henry Ford Community College. Special guest performers include Dearborn public schools graduates who have pursued careers in the arts. The Youth Arts Festival features art demonstrations and the artwork of kindergarten through 12th grade students participating in the all-school City Wide Art Show exhibit in the Padzieski Art Gallery. The Art Show runs from April 22 through May 22, 2015. Choral performances will highlight the voices of students in the Elementary Honors Choir directed by Jim Walters, the Secondary Honors Choir directed by Jennifer Pegouske, the Dearborn High School Choir directed by Carmelle Atkins, and the Henry Ford Community College Blue Fusion Vocal Jazz Ensemble under the direction of G. Kevin Dewey. Representing the power and passion of instrumental arts, the collage concert includes a variety of groups performing on stage in the world-class Michael A. Guido Theater. The Youth Arts Festival is a cooperative project by the Dearborn Community Fund (DCF) and the Dearborn Public Schools, with support from the Dearborn Community Arts Council and the Dearborn Public Schools Education Foundation. 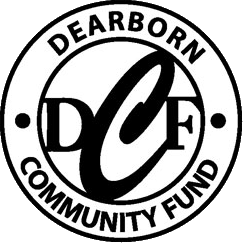 The DCF is a 501(c)3 nonprofit organization with the mission to support cultural and recreational programs in Dearborn. For more information about the Youth Arts Festival, other projects sponsored by the DCF, or how to contribute to the Fund, call 313-943-5478.